A lot of people think that getting a visa is difficult, well the truth is, getting a visa is actually not difficult, you simply need to have yor complete documents and be confident. You will surely get your visa. 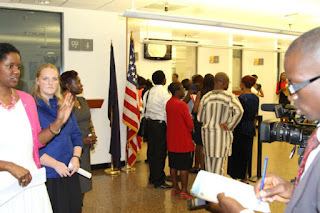 There are avoidable mistakes that may happen during the visa interview that will obviously ruin your chances of being issued a visa. To prevent these possible problems during your visa interview, see below seven top mistakes to steer clear of.